Go for yours this season with fashion blazers by Manzini. If you like the way others look wearing stylish velvet blazers, you can too. 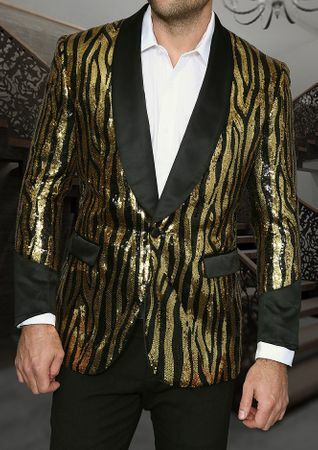 Manzini makes a great array of stylish sequin dinner jackets for any mood you happen to be in. This club friendly Manzini modern fit blazer features a fancy swirl pattern sequin fabric with side vents that is perfect for the evening life.